Are you worried about your children using the latest tech indiscreetly? Are you looking to snoop on your partner’s device for the fact they might cheat on you? Here is how you can spy on them. We all need to trust something or someone, but trust being the greatest issue of today has surged the need of spy apps. XNSPY is one of the best spy apps for Android which will help you to monitor someone’s cell phone activity 24/7 remotely. Here are some of the best features this spy software has to match your spying needs. 1.Monitoring Call Logs and Recording Calls. 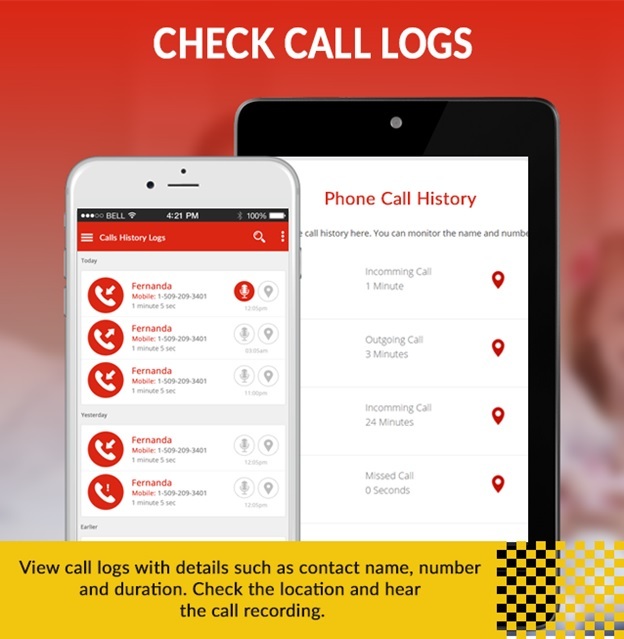 The spy app for Android monitors call logs as well as record calls from the monitored device. These details will display with each recorded call. You can download the calls from the online account and listen to the recording on the multimedia player e.g. VLC. 2.Viewing the SMS and Instant Messaging Apps. The very best use of this app is monitoring the text messages. 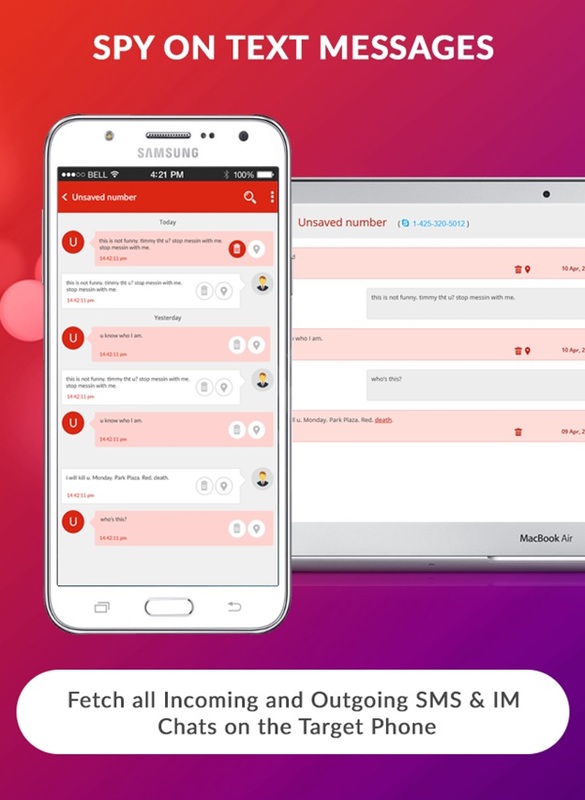 Also, this app can track the messages and call logs of instant messaging apps like Viber, WhatsApp, Facebook etc. Here is the list of features for Instant Messaging apps. See the full log of voice calls. Take screenshots of chats and messages. View date and time stamp of each chat thread. View photos sent or received in the chat. 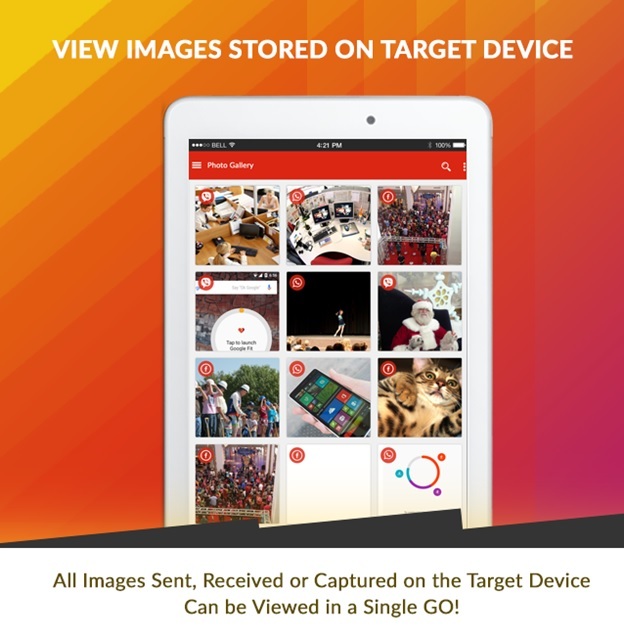 You can monitor photos and videos saved in the gallery and see what is being shared and stored on the target phone. 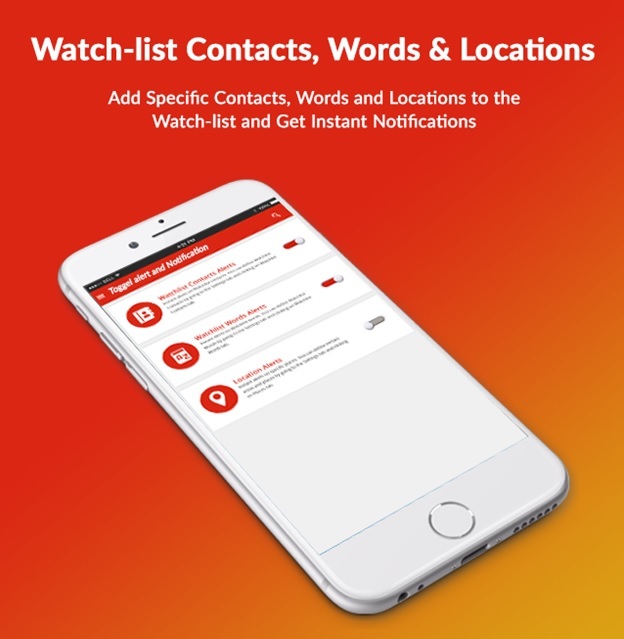 The app lets you add contacts, words, and locations to the Watchlist and you will receive alerts on that for any related activity. When you add words to the watchlist, you will get notified whenever they are used in chats. 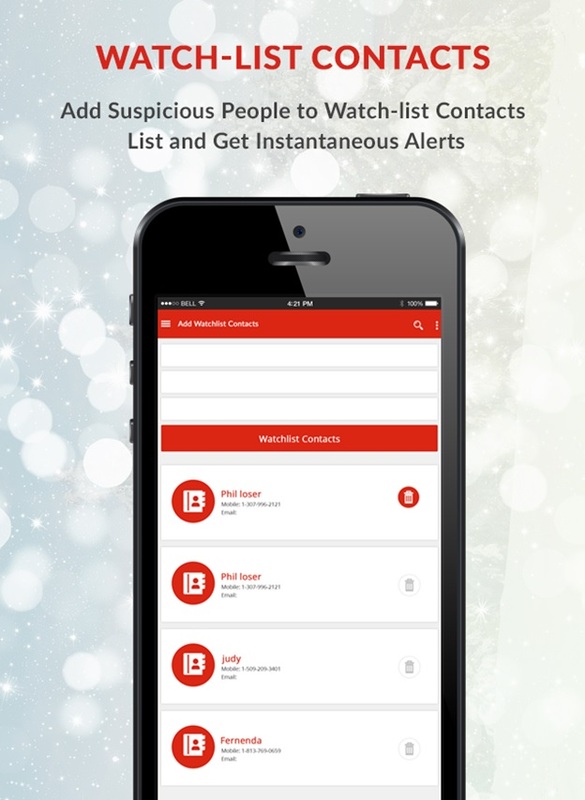 Similarly, when a watchlist contact calls the target device, you will get a notification for that too. This is one of the spy apps for Android has a fully-functional real-time location tracking feature. You will always keep track of the target device while the current location is being updated. However, in the case of Internet disruption, you will miss out the real-time location tracking. But this does not mean you lose it. You can always check the locations in location history when the internet service restores. Location watchlist is a major part of this feature. In location watchlist, you add a specific location to your watchlist. 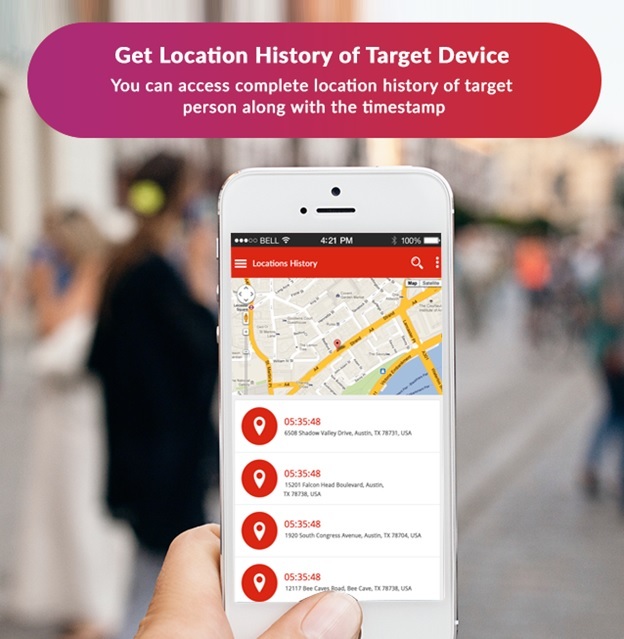 When the target device enters the area you will receive a notification warning that someone has crossed the demarcated area. In case of children, you can add a pub or a bar to location watchlist. But if you think your partner is cheating on you, add a pub or a restaurant in the watchlist and get alerted when he/she visits it. You can also monitor the check-ins and check-outs on that location. 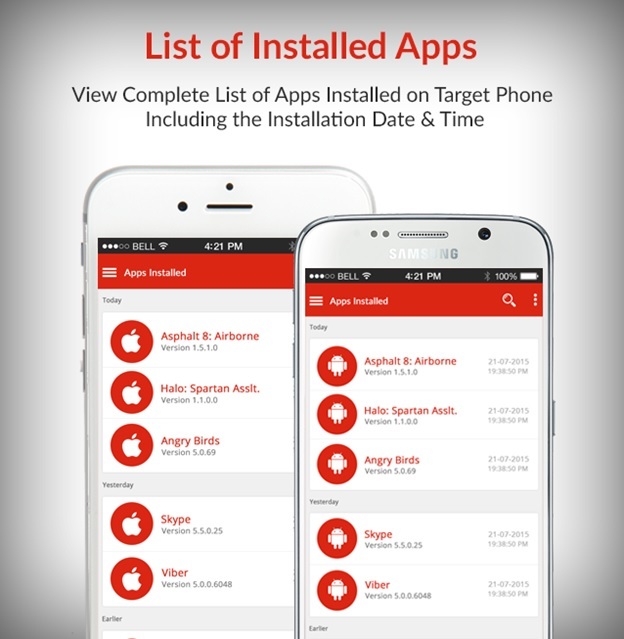 This app will help you see the apps being used by the target device holder. So if your children use a smartphone, you can track them installing games or apps that are forbidden for their use like dating apps or any blotched content. At the same time, you can spy on your spouse or partner if he/she uses such apps for cheating on you. App Blocking is much advised with kids because you cannot stop an adult in downloading or viewing any odd stuff. But stopping kids for any content of sort is very necessary. Also, you need to see if your kid has a habit of excessively playing online games and using social media. You can enable tracking of chats messages, videos and photos etc., as per your requirement. It is not necessary that you enable everything for tracking. Similarly, you can disable the tracking of any feature where required, manually. If the phone is lost, don’t worry. 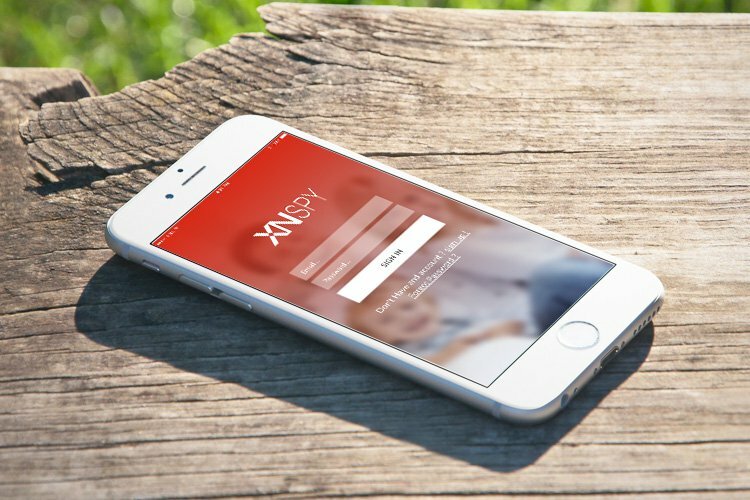 You can remotely wipe all the data on the phone through Xnspy which will help you to keep your cell phone’s private data secure from misuse. 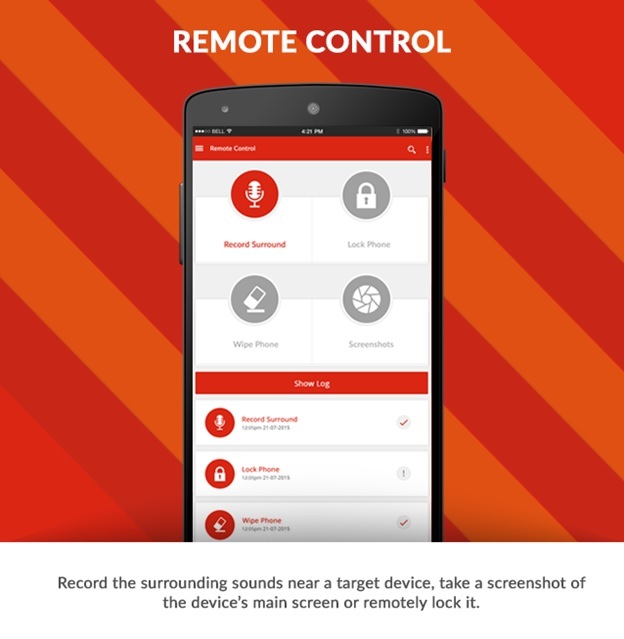 The spy app is compatible with both Android and iOS. Finally, It is very easy to install the app. You will also find it easy to operate. There is also an option to choose your preference for uploading the data. You don’t need to hustle for anything you can change your options for data whenever you want. For more assistance and details please visit xnsp.com and contact our live support 24/7. The first thing about spying is you should always know it is for the right reason and you do not want to harass someone. The second important thing is it should seek the consent of the person you snoop on. And lastly, you should restrict yourself from making it a habit like, “I want to know what they talk about me so I want a spy software”. This is unnecessary. Only spying for a legit reason is good.